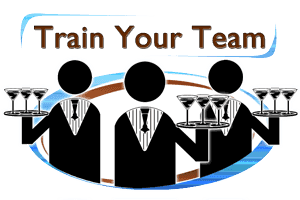 Do you need to get your alcohol server training server permit? Earn your Rhode Island alcohol server training server permit (commonly called: "Rhode Island bartender license") by completing the Responsible Serving® of Alcohol Course for Rhode Island. 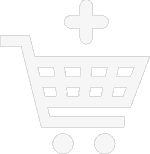 Rserving's online Rhode Island Responsible Serving® of Alcohol course is a Rhode Island certified online alcohol server / seller training program for Rhode Island. Certified by the Department of Behavioral Healthcare, Developmental Disabilities and Hospitals, this online alcohol server / seller training program in Rhode Island teaches alcohol servers and sellers responsible serving® techniques and Rhode Island state laws regarding alcohol service. In Rhode Island, you must complete an Alcohol Server Training program approved by the Department of Mental Health, Retardation and Hospitals if you are working for an employer holding a Class B, Class C, Class D, Class J, Class N, or a Class P license and if your duties include selling or serving alcoholic beverages, supervising individuals who sell or serve alcoholic beverages, checking IDs of customers purchasing alcoholic beverages, working as valet parking staff. You must obtain your service permit within 60 days. Complete your Rhode Island alcohol server training online today through Rserving®. Once you have completed the training, you will need to contact an approved proctor to take the final exam. Proctors are located in Coventry and Providence. Upon successfully passing the final exam, we will issue your plastic wallet certification card which will be valid for 3 years. What is the minimum age to sell/serve alcohol in Rhode Island? 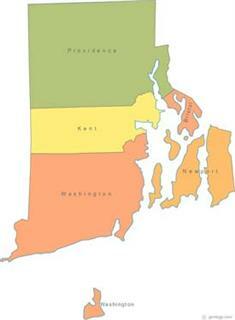 The minimum age to sell and serve alcohol in Rhode Island is 18. The agency that handles Rhode Island liquor licensing and/or bartender licensing rules and regulations in Rhode Island is The Rhode Island Division of Commercial Licensing and Regulation Liquor Enforcement and Compliance. The contact information for The Rhode Island Division of Commercial Licensing and Regulation Liquor Enforcement and Compliance is listed below. You can contact them to verify that online server certification (bartender license) can be obtained in Rhode Island. We have also listed that information where applicable. RI Happy Hour Laws: Happy Hour Laws reference the prohibited practices that result in excessive consumption of alcoholic beverages by consumers. You may NOT: Serve or sell two or more drinks at a price less than the number of containers actually sold - "two for the price of one." Increase amount of alcohol without increasing the price. Serve more than one free drink a day to any identifiable segment of the population. Sell an undetermined quantity of alcohol for a fixed price- "all you can drink." Sell alcoholic beverages at a reduced price to consumers paying a fixed "buy-in" price. Sell alcoholic beverages at a price based on the amount consumed. Sell alcoholic beverages at a reduced price after 11PM. Sell or serve more than two drinks to a single customer at a time. Conduct or sponsor contests which are determined by the amount of alcohol consumed or if alcohol is given as a prize. Engage in practices that are reasonably calculated to induce consumers to drink to excess.